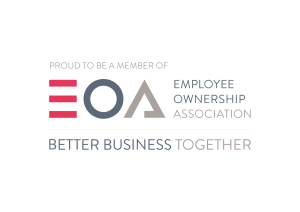 Run by People Who Actually Use a Campervan! 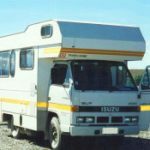 After ten years of owning and hiring campervans in countries around the world we’d always felt that we could improve on the design of the vans we’ve had. Sometimes we wondered if the people who did the designs had ever spent a day or night in a campervan! 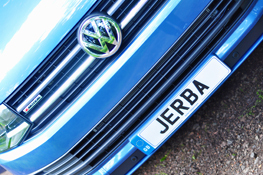 We knew we could do better, so in late 2005 we took the step and Jerba Campervans was formed. Although we started by converting any van we now specialise in the VW Transporter T6 and are proud to work directly with officially with Volkswagen as a registered vehicle body builder for their Transporter T6 into a VW T6 camper. 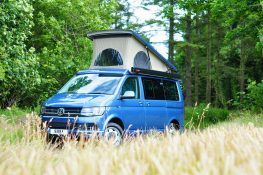 We also hire out three of our designs which allow customers to try out the campervan experience before committing to buy – it allows us to try out new products, fixtures and fittings before offering them as part of our conversion options. 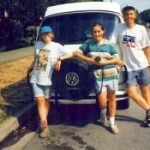 We bought our first campervan, a VW T2, in Canada in the mid 1990’s, we lived out of it for two months and drove it from Vancouver to Montreal, it was before we had children so we know what it’s like to live as a couple in a van. 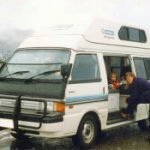 We now have three children, all born between 1997 and 2001, and in 2000 we took a four month campervan rental trip to both New Zealand and Australia. It’s a different challenge with young kids than being on your own, and we soon learnt what’s important in the layout and design. In the UK we owned a T4 VW campervan conversion from 2002 to 2005 and used it as both a holiday vehicle as well as our everyday transport. 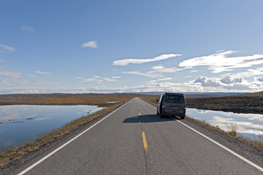 In 2005 we decided to upgrade to the new VW T5 and after months of painstaking research bought a base window van vehicle and undertook the conversion to the layout that we knew best suited our family and our needs. 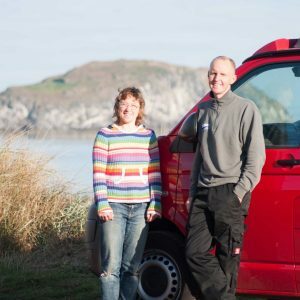 With practical experience and a real passion for adventure and the outdoors, we aim to bring a sense of realistic ideas to the UK campervan market.